The spotlight shined especially brightly on two students from Northwestern University in Qatar (NU-Q) at the recently held Ajyal Film Festival. 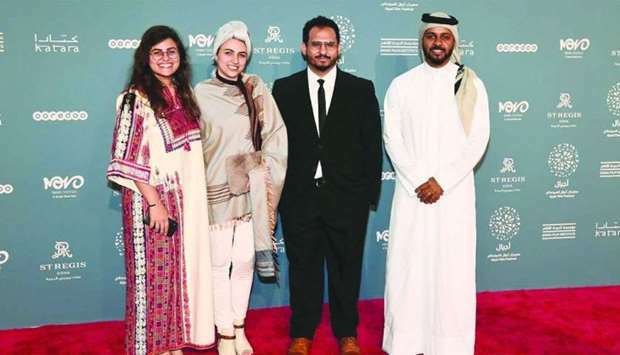 Amal al-Muftah, who has been called “the rising star of Qatari cinema”, received the Made in Qatar’s Best Narrative Film Award while Mariam al-Dhubhani, who was making her directorial debut, won Made in Qatar’s Best Documentary Award. “NU-Q recognises that these awards reflect on the quality of education our students receive, as well as the support they have from faculty, the administration, and student clubs,” said Everette E Dennis, dean and CEO of NU-Q. “Over the past 10 years, we have been proud to see our students and alumni continue to shine at festivals from Ajyal to Cannes with films and documentaries that include powerful messages on social justices and incorporate creative storytelling techniques,” Dennis said. Al-Muftah’s film 'Sh’hab' (Shooting Star) was inspired by a myth her grandmother used to tell her about stars falling into the sea at night and new stars coming forth each new day. The film follows the perspective of a young girl in the village of Wakrah, who longs to spend time with her father and older brother at sea but is not allowed to join them. While at home, the girl’s mother tells her stories about the stars, which only fuels her imagination further, and she ultimately decides to set out one night and search for falling stars. Al-Muftah believes the award for this film, which was funded by the Doha Film Institute (DFI), was an affirmation of all the hard work she and her team put into it, and she credits NU-Q professor Rana Kazkaz with providing critical encouragement throughout the process. Al-Dhubhani’s film 'Just Another Memory' came from a personal experience as well. A Yemeni citizen, she fled the country’s war in 2015 but found that escaping did not liberate her from the emotional and psychological effects. Feeling stuck in the past, unable to enjoy the present, or positively build her own future, al-Dhubhani described the film as the first step towards healing and processing everything that is taking place in her home country. Al-Dhubhani made the film as part of the DFI’s annual Documentary Lab. She also received grants from NU-Q through Studio 20Q and the Media Innovations Lab (MIL). Studio 20Q is a student-run organisation, which presents opportunities for students to experience filmmaking outside of the classroom by providing grants for student films, filmmaking workshops, and access to a network of professional filmmakers in Qatar and around the world. 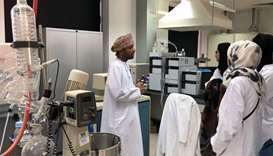 In addition to providing grants, the MIL has dedicated space in NU-Q’s building that offers students the opportunity to explore and experiment with new technologies, as well as attend workshops with communication professionals who share their experiences with NU-Q students. In addition to these awards, recent NU-Q graduate Nouf al-Sulaiti was awarded Best Short Film in the Mohaq category for her film 'Gubgub', which is about a young girl who is discouraged when her father values her brother’s accomplishments over hers and sets out to win his approval.